We've produced a short guide that walks you through setting up the database, people, respirators, and test protocols you need to complete your quantitative fit tests. 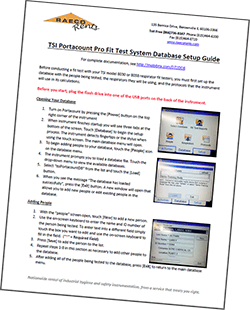 Want to learn even more about the TSI PortaCount? We have more than two hours of training videos available free from our website, so you can get up to speed fast. Read more of our posts on respirator fit testing.